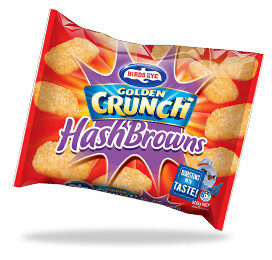 Major frozen food brand Birds Eye has issued a recall on their ‘Golden Crunch’ hash browns product. Small pieces of blue plastic were discovered in some products, eliciting the recall of thousands of packets. A staple snack in Australia, the contaminated potato bites were sold in Coles, Woolworths, IGA, Farmer Jacks and Spud Shed supermarkets across Western Australia. Anybody in possession of a contaminated packet should dispose of it or bring it back to the place of purchase for a full refund. Contaminated product: 800g packages with the best before date of 1 July, 2018 and batch code 26 168 09. Consumption of products containing small plastic pieces can lead to injury. No other Simplot Australia or Birds Eye products are being recalled at the present.